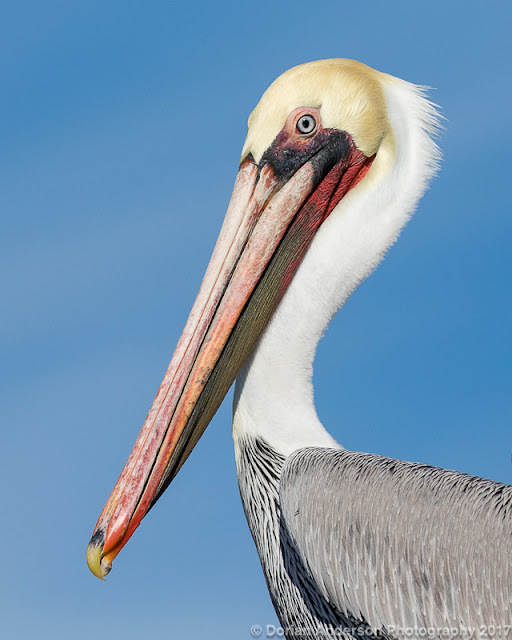 The Speckled Hatchback: Post #147 - Rescuing Brown Pelicans on the Texas Coast! In aviation we would call this phenomenon decreased performance low-level wind shear. 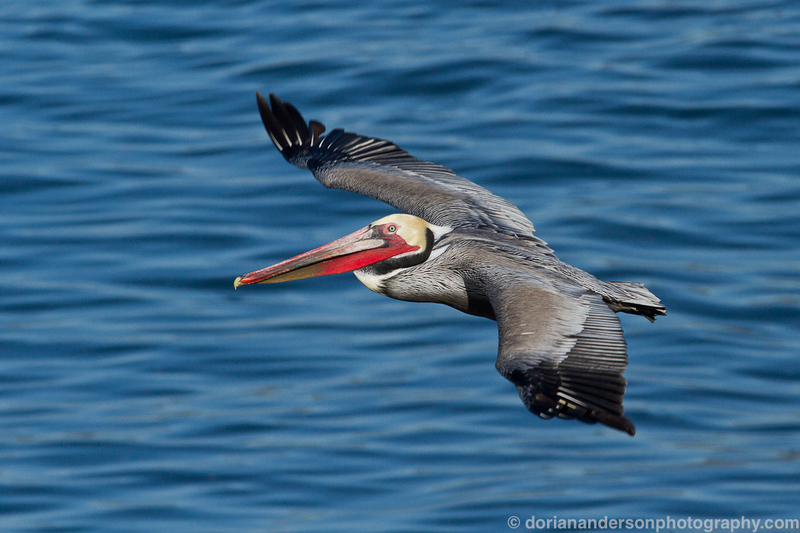 When the Pelicans fly into the wind, the relative movement of the air contributes to their airspeed and production of lift. As the headwind is disrupted by the concrete barrier, less air is moving over their wings and the birds lose airspeed – even if their ground speed remains constant – and therefore also produce less lift. As pilots we sometimes encounter situations similar to the Pelicans’ when on approach for landing. Low-level mechanical turbulence and wind shear can result when airport buildings interfere with strong winds, which causes a reduction in airflow over the wings and loss of airspeed. In serious situations the resulting loss of lift can lead to a wing stall, altitude loss, and in severe cases, ground impact. When the Pelicans are flying with a strong tailwind, the concrete barrier may disrupt the wind but the disruption creates an apparent headwind – or increase in airflow over the birds’ wings, which is likely why the birds can maintain lift and continue their flight over the road. Thanks for the great info Matthew! I suspected it was something like this but didn't know any of the specifics or technical terms. I guess it's the same keep pelicans and planes aloft, right? Great work, Dorian! 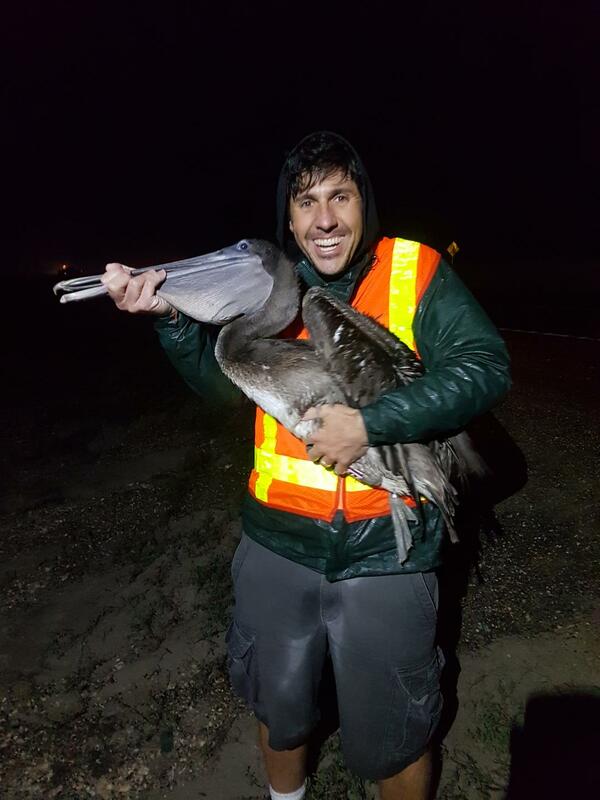 So glad that Stephanie, Jessica and you were able to save the birds, and that the officials in the area care enough to let this happen! Yeah, I was shocked the local community - and particularly law enforcement - has been so proactive. It was really nice to see! This is crazy. It seems like they should just add some sort of turbulence altering device to the top of the concrete structures. Any aerodynamic engineer birders out there? Interesting idea Ed! There is talk about replacing the barriers. As with any gov't endeavor, it's a slow process. Right now the estimate is $2 million to replace ~3 miles. Seem excessive, but with gov't officials and unions involved it's bound to be overpriced.